Known for: Traveled widely finding subjects in Gloucester, New York, Washington, DC, and North Carolina, still-lifes (reserved time after Sunday dinner for still-life, friends brought him flowers), landscapes, architecture, and city life of Savannah, extensive exploration of one subject-public squares, fountains and monuments in watercolor, pastel, charcoal and oil. Studied: Savannah Art Club, Eben Comins, Gloucester, MA, friend of printmaker Joseph Pennell. Member: Savannah Watercolor Society, Savannah Art Club, Southern States Art League major figure in the development of the art of Savannah, GA. 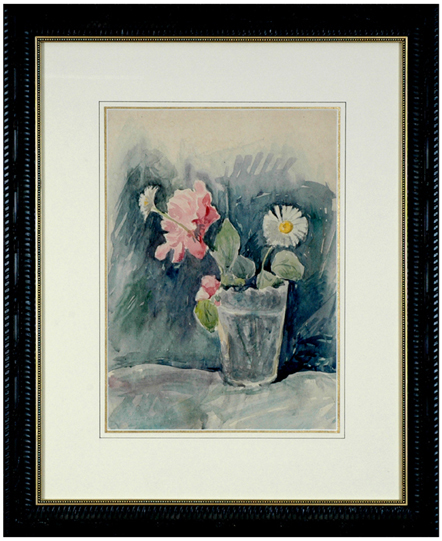 Exhibited: Art Institute of Chicago, New York Watercolor Club, the American Watercolor Society, the Telfair (posthumous exhibition in 1985) and across the South, “100 Years of Painting in Georgia” by Gudmund Vigtel, High Museumof Art, Atlanta, GA. “Looking Back, Art in Savannah, 1900-1960” by King and De Lorme, Jr., Telfair Museum of Art, Savannah, GA.
Publications: “Looking Back, Art in Savannah, 1900-1960” by King and De Lorme, Jr., Telfair Museum of Art, Savannah, GA, “100 Years of Painting in Georgia” by Gudmund Vigtel, High Museum of Art, Atlanta, GA, “Art and Artists of the South, The Robert P. Coggins Collection” by Bruce Chambers. “Sculpture and Monuments”, The Forsyth Fountain series, “Christopher P.H. Murphy, A Restrospective, Telfair Academy of Arts and Sciences, Savannah, GA by Feay Shellman is Murphy’s most extensive exploration of one subject. The magnificent plan of Savannah which emphasizes public squares, fountains and monuments appealed to Murphy’s American Renaissance interest.